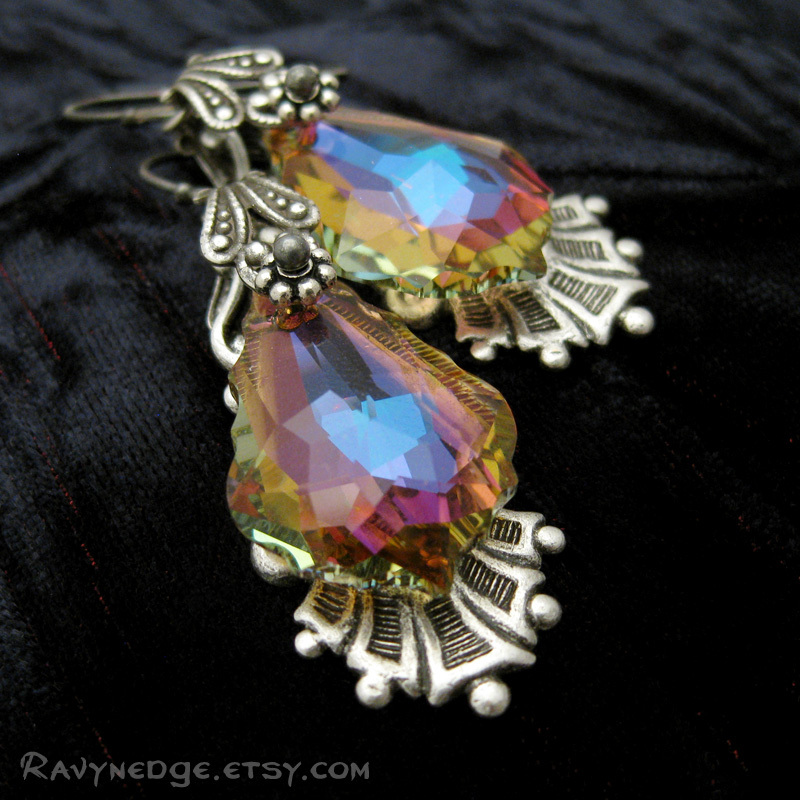 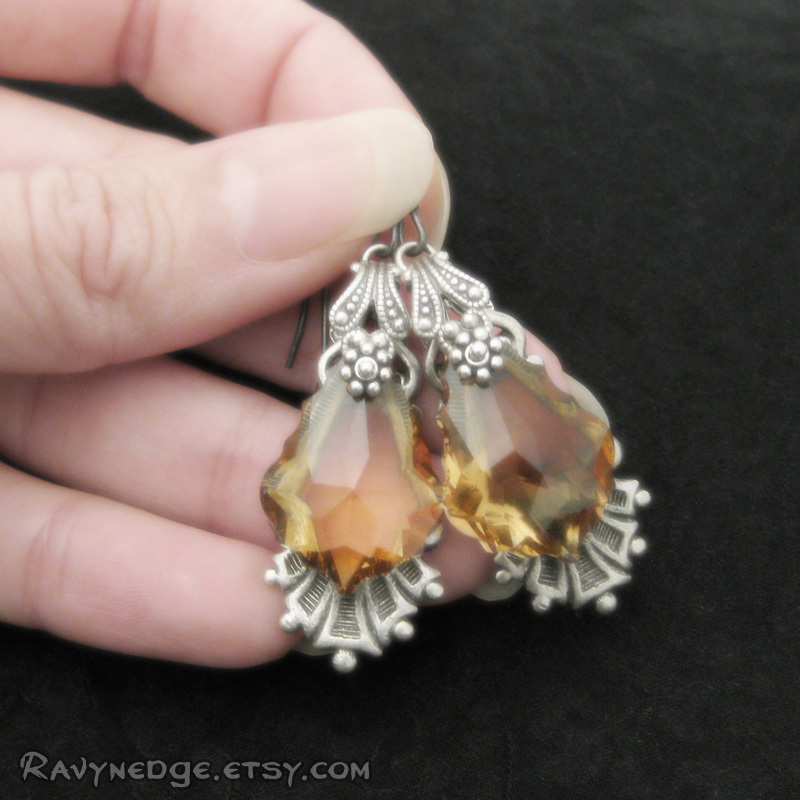 Shades Of Evening Earrings - Swarovski and Silver Filigree Dangle Earrings by RavynEdge. 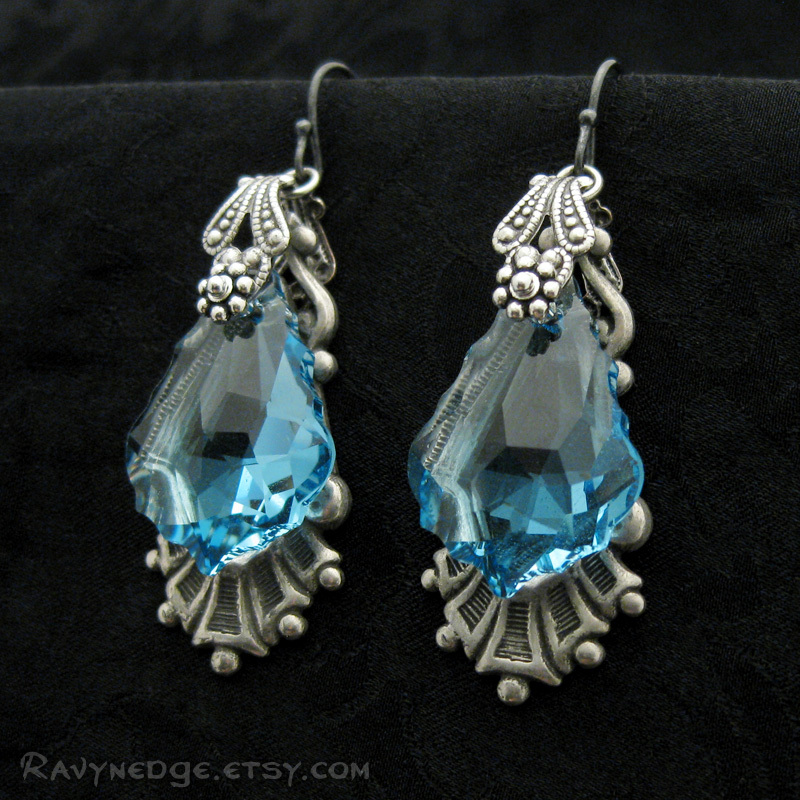 Dramatic earrings for a fancy night out or add a bit of glamour to your favorite pair of jeans! 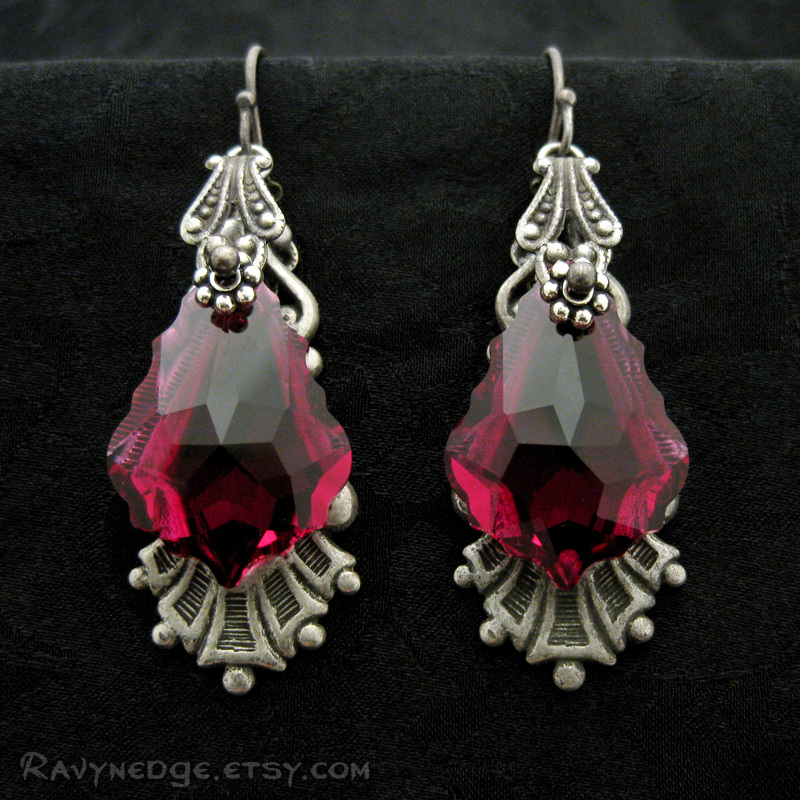 Swarovski crystals sparkle brilliantly as they sway with sterling silver plated brass filigree. 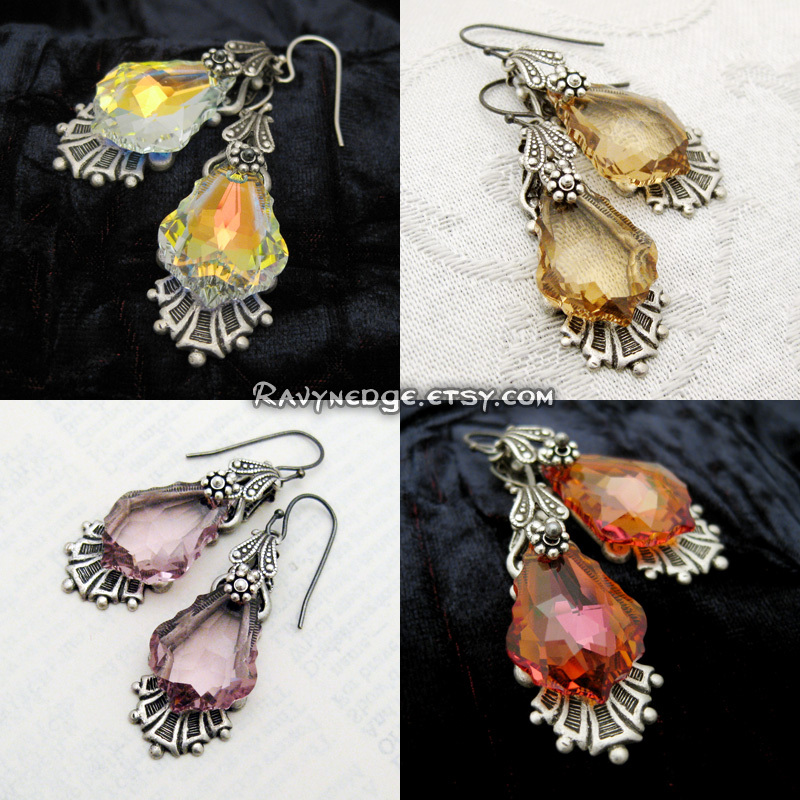 Total length is 1.9 inches (47.5mm) from the top of the sterling silver plated brass earwire.